Justia Lawyer Directory Search for "Ashley Brooke Thomas"
Search for "Ashley Brooke Thomas"
Ashley Thomas is a native of Emmaus, Pennsylvania where she graduated from Emmaus High School. 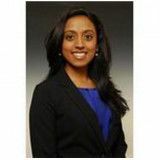 She attended Rutgers University - New Brunswick in 2005 where she earned her Bachelor’s Degree in Political Science and Philosophy with a concentration in pre-law. Upon graduating from Rutgers, Ashley attended and earned her law degree from the Charlotte School of Law in Charlotte, North Carolina.